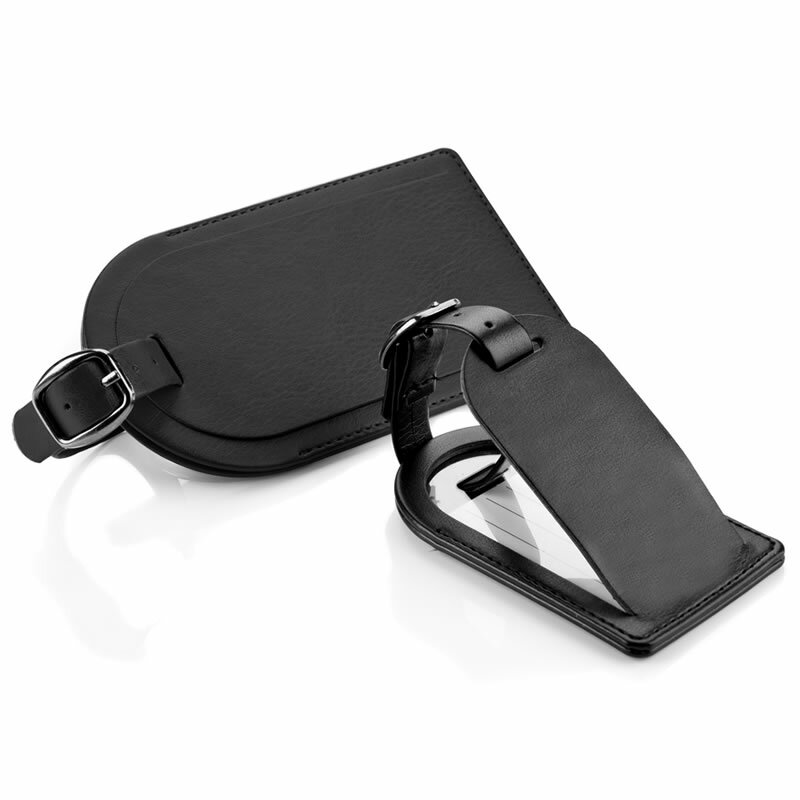 Stylish, sturdy and practical luggage tag with security flap. Crafted in soft-touch Belluno leather in classic black colour, with stitched edges and adjustable belt to attach to your luggage. These luggage tags include a white name and address card with plastic sleeve cover, and the leather security flap ensures that these personal details are covered during normal use (lift the flap to display the name/address card). Your luggage tags can be customised by laser engraving directly into the leather, a technique that leaves a clean, crisp and permanent mark of your name, logo or message. Good quality product, looks well with engraving. Solid construction looks like it will wear well. I am pleased with this.